So I have been debating whether or not to repurchase my Chanel Chance Eu Tendre, but it was so expensive, and I wasn’t totally devoted to the scent that much. I heard that this spring a lot of designers were releasing new fragrances, so I decided to wait it out. And boy was I happy I did. I first smelled this at the beginning of May when I got my June magazines, and I saw it everywhere. I smelled it in a magazine strip and decided it was a good candidate. I love that it’s sweet, but not too candy-sweet like Taylor Swift’s or Katy Perry’s. It has a mature feel to it, even though it’s quite floral. I wanted to try the perfume on so that I could see how it smelled throughout the day. Being a perfume enthusiast, I know that the longer the fragrance is on your skin the more some notes will stand out and fade. It reacts to everyone’s skin differently, long story short: I needed to test run it. I went to Macy’s, Neiman Marcus, Lord & Taylor, Bon Ton, Ulta, and everywhere else that I could think to find this. It is petty new, but as of right now, it’s in most stores. However, no one is willing to give out samples, which is a huge problem because this stuff isn’t cheap! I’m not spending $74 dollars on 1.7 ounces if it doesn’t smell great throughout the day. There is also a roller ball size, and a smaller and larger bottle. I loved the middle size because it’s usually not too little or way too much. The most prominent notes in the perfume are pink peony and black vanilla. I don’t know what black vanilla is or what the difference between that and normal vanilla is, but I love it. It gives the sweet smell without being too girly. I think this is the perfect perfume for a younger person who wants a feminine floral scent, but not something too mature. The Chanel I was using was a bit more grown-up, and the more I smell it, the more I realize it wasn’t a spring or summer scent, and more of a formal fancy fragrance. The formula for Ralph Lauren’s is also a lot longer lasting. I did a bridal show today and put a spritz of Midnight Romance on my wrists, and by the end of the day, I could still smell the pink peony. 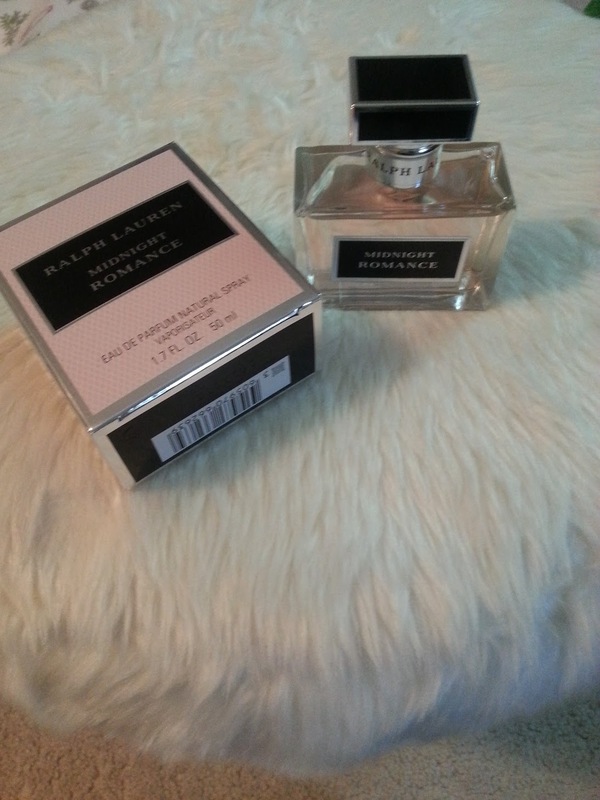 Anyway, I eventually got the perfume for my birthday on Friday from my boyfriend, and I was so excited! I have been wearing it for three days now but I know this will be my summer fragrance, and I may even repurchase it! 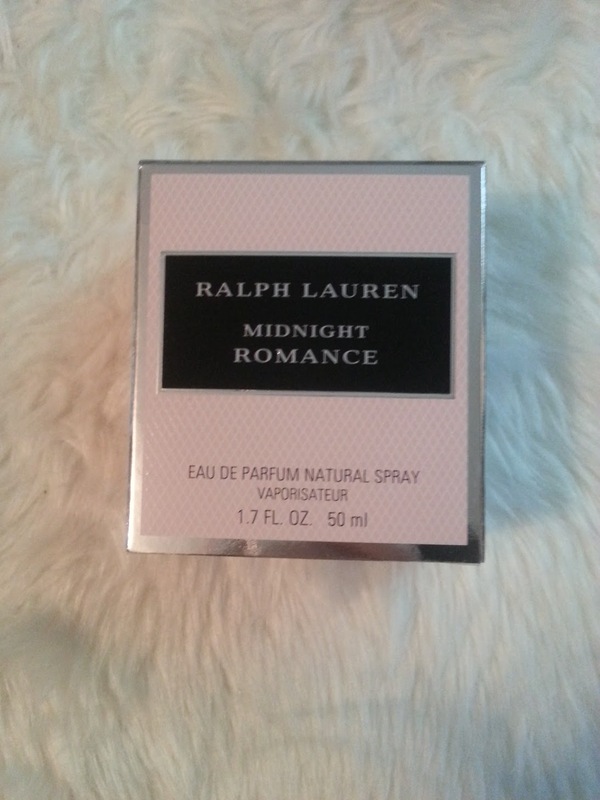 I also want to point out that this perfume is a LOT different than Ralph Lauren’s other fragrance “Romance”. They are from the same line, which is this whole romantic sensual line. 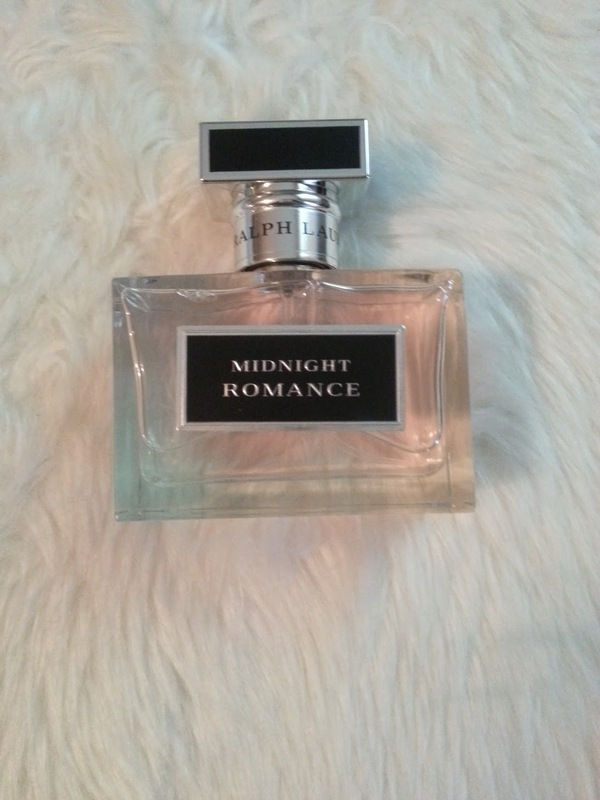 The Midnight Romance is a lot younger and more youthful. The normal Romance (which came out first) is more mature and musky. They are completely different, but I love them both! Check out both of the Romance line and all the other great spring perfumes out there. Let me know what you guys think about the spring scents, and if you’ve smelled the ones by Ralph Lauren.